As my husband has either worked in or been a student in a university setting since we have been married, I continue to see a year in semesters. The summer semester is about to wrap up and all I can think of is how fun it would be to take one last long weekend excursion. So, as I dream I thought I would share some sites we have used recently and a place or two we have stayed. We were able to find a fantastic place to stay in NYC thanks to roomorama.com. I had never heard of this site before until searching for short-term housing. Roomorama has listings for most all major global cities. I would absolutely use it again. The apartment was just as we saw it online and everything was so easy. Here is a link to the apartment we stayed in. It was tiny but had everything you need! If you are every staying in NYC for a bit check this little space out for sure. In a previous post, break from reality, I mentioned using airbnb.com for finding a new and fun destination. With this site we were able to do broad searches and landed on a city we would not have otherwise chosen to stay in and we are so so glad we did! I am keeping my fingers crossed in hopes of returning this next winter/spring. I swooned a little looking back at my old post.... Those little cabins are so fantastic. Maybe next time we can take friends and rent all three! Last but most definitely not least...Our last night in NYC was a hug splurge for us. We stayed one more day in the city than our Greenwich studio allowed due to flight arrangements and thought we would cross the river and enjoy a hotel for one night. And boy did we ever!! I discovered a new hotel chain in some pretty fantastic locations: New York, Brooklyn, Miami and Montauk. Um, ok! I am so sad that we did not make it to Montauk, and any other location further up the island, but the hubs has promised to take me there one day. Maybe we will stay at...dun dun dunnnn! 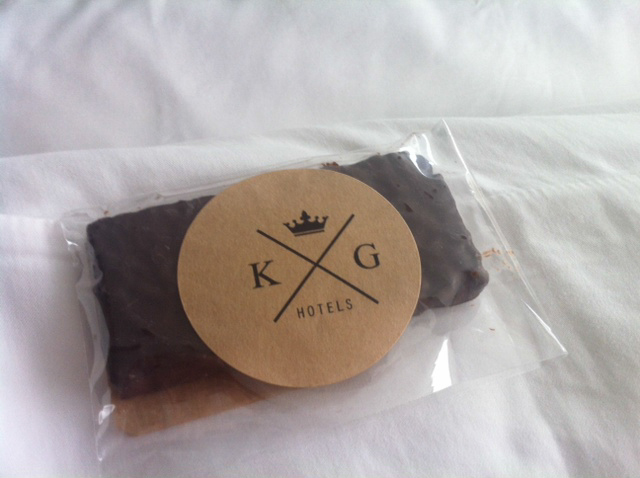 !...the King and Grove hotel when we go! Yes, King and Grove! 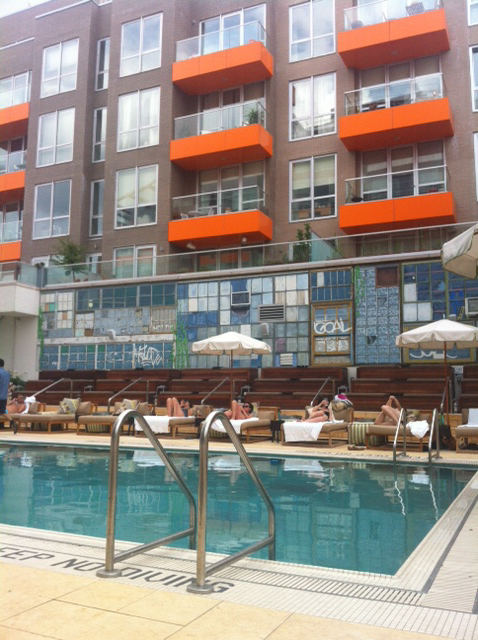 The staff was lovely, the hotel was quite and beautiful and who gets a pool in NYC?! And it was so cool!! I did not want to leave that is for sure. We stayed at the Williamsburg location. This neighborhood has everything you can imagine. The hotel also has complimentary bikes (and cute vintage ones at that) making for an afternoon drive along the river or a site-seeing tour of Williamsburg shops. Oh dear...I need to go back. Like now. 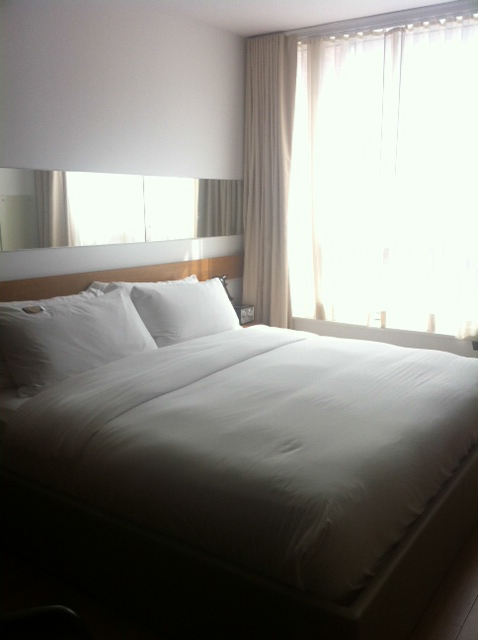 This really was the perfect hotel for our relaxing last night in the city. 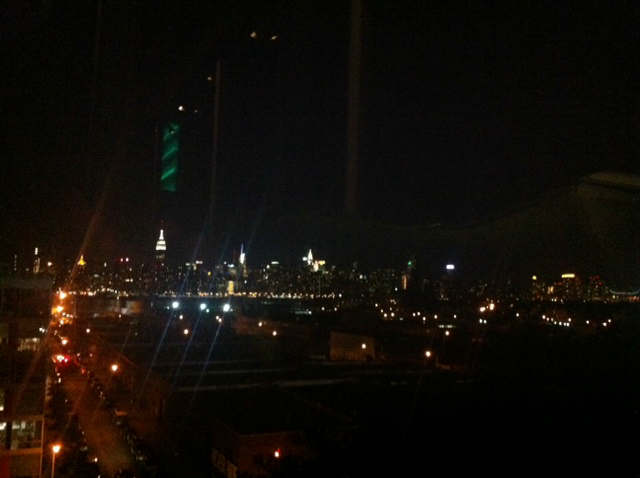 So my iPhone does this view no justice at all...rooftop bar with a perfect view of Manhattan people! Get out there and find a new getaway and let us know where you go! We are always on the lookout for an economical adventure!